I grew up loving rabbit food: crispy, cold carrot sticks. I don’t remember eating cooked carrots, but recently discovered how sweet they become when you sauté or roast them. Even better, cooking carrots in a little bit of healthy oil enables your body to more easily absorb the good stuff – the carotenoids and vitamin A – of this root vegetable (which are both fat-soluble nutrients). 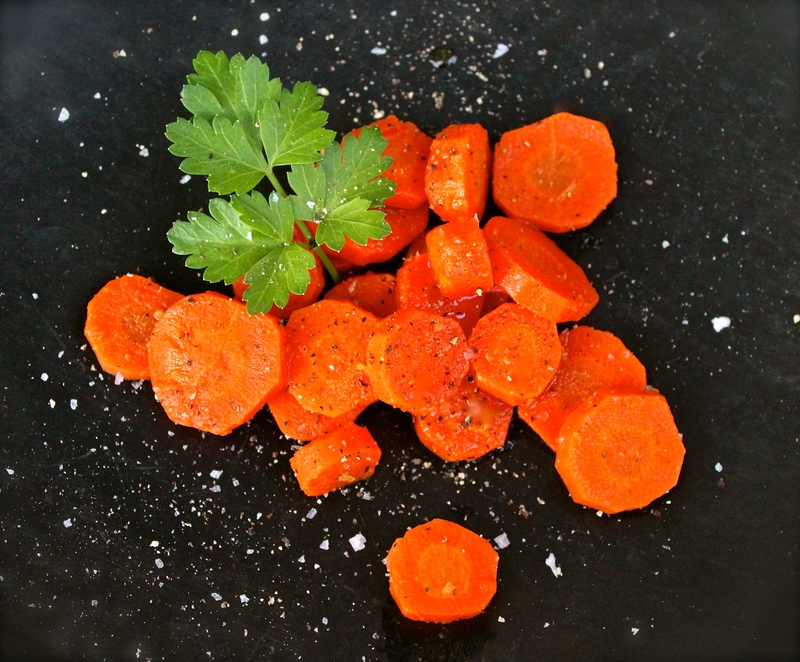 There is no recipe required; just peel, slice, and drizzle carrots with a little olive oil. Saute or roast them at 350 degrees until desired tenderness. I also season with salt and pepper before serving and maybe a little fresh lemon juice. If you want to get creative, you can add nutritional boosters before cooking. In the photo above, the carrots are dressed in a little cumin and minced fresh ginger (although the kids prefer them plain). On day 50 of this 365 day project, I ate my daily five (including spinach chiffonade on almost everything – except my oatmeal). Did you enjoy yours?